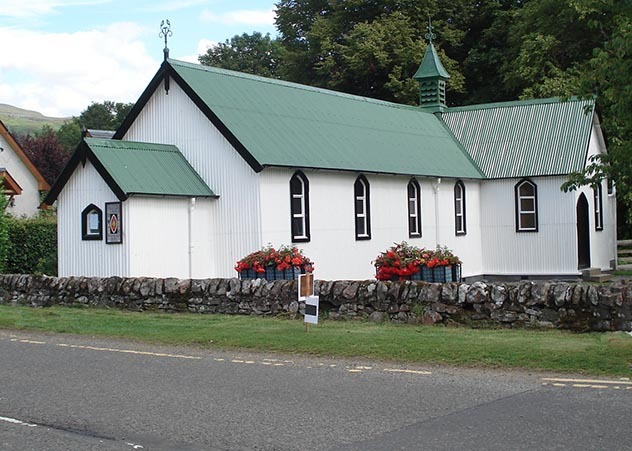 St Fillan’s is an excellent example of a tin tablernacle. 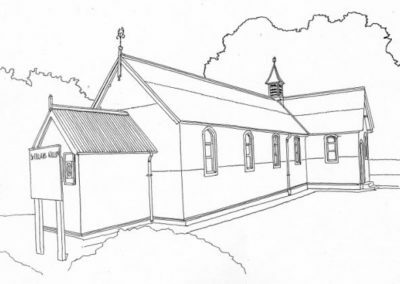 Tin tablernacles were innovative Victorian churches constructed from standardised corrugated iron sheets on a wooden frame. The manufacturer might have been The London Iron Church & Chapel Co. This tin tab was built in 1876 by the 7th Marquis of Breadalbane as a place for his shooting parties to worship, and known locally as the Grouse Chapel. Originally it consisted of three bays and the west porch. 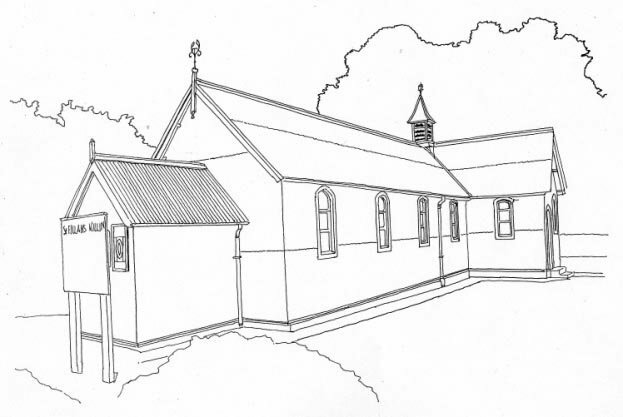 It was extended in 1885 with the addition of the crossing and the chancel bay. The building was further extended in in 1969 when a meeting room was added at the east end. The church has an extensive timber interior. The carved and painted altar was made by George Watson of Edinburgh. The stained glass window above the altar depicts the Annunciation. The altar rail came from the demolished chapel at Taymouth. Contact St Fillan's Episcopal Church, Killin.